Museums are key to a modern and evolved society, allowing us to understand the history of the world as it constantly develops. Visiting museums can offer us an immersive and involved experience like no other. 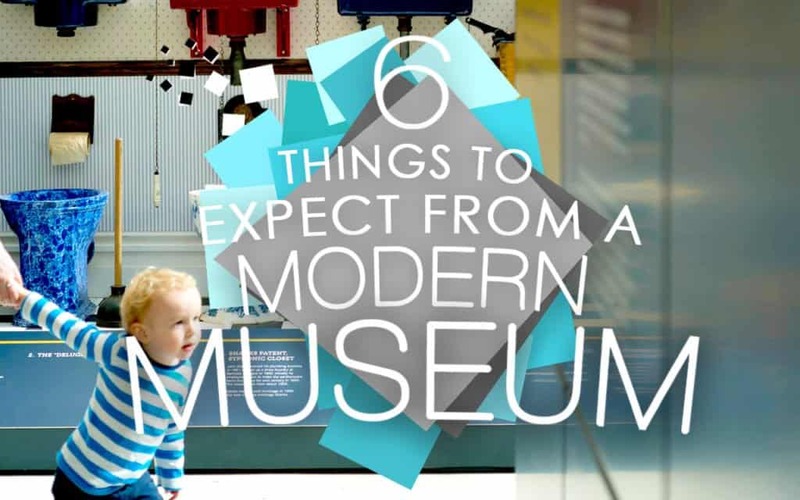 If you’ve not been to a museum in a while this little guide will tell you what you can expect to see and do when you go through the doors of a modern day museum. As technology has been constantly developing over the years, ways to showcase information at museums has also been changing. There are a variety of different options when looking at interactive information that can appeal to all ages. A modern museum will undoubtedly have some kind of modern interactive area; usually utilising some form of touch screen that has engaging content provided for visitor use. 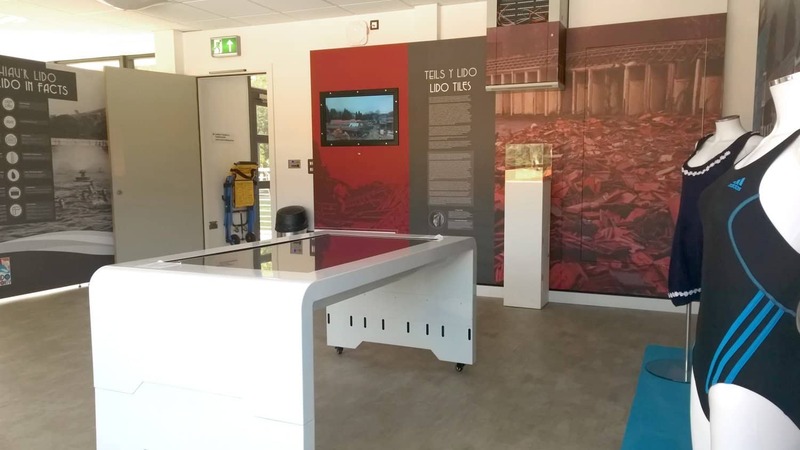 One of our best sellers, the ‘Sleek’ Multi Touch Table, is a great interactive product for museum use when combined with bespoke software or our off-the-shelf fully customisable options. With a ten point capacitive touch screen and our software, there’s endless possibilities for creating engaging content. They’re always a hit with visitors and are a key staple in any modern museum. Museums have come a long way over the past few decades, and having audio visual interpretation is an aspect of museums that widely comes as standard. Audio visual exhibits utilise sounds, video and light to share content with visitors in a way that is more engaging and can draw them in for a more visual experience. 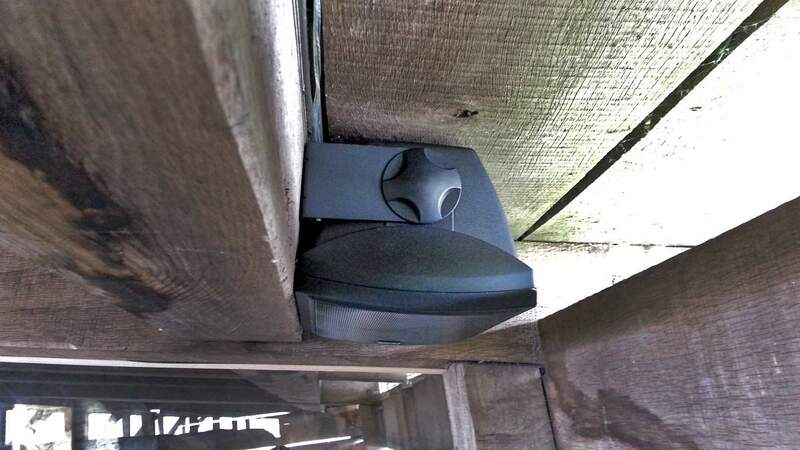 A great example of this is the PIR Soundscape that we made for Caerphilly Castle, which utilised sound that would activate via a PIR sensor to bring the battlements to life. Technology is constantly growing and the tablet has become a widely recognised peace of software. It is common for museums to integrate tablets into their space, as the majority of museum visitors will be familiar with how to use one. Some great examples of tablets with software include the iPad’s we supplied to The National Museum of Ireland. They were used in an exhibit exploring the lives of Irishmen during World War One and was a huge success with visitors. 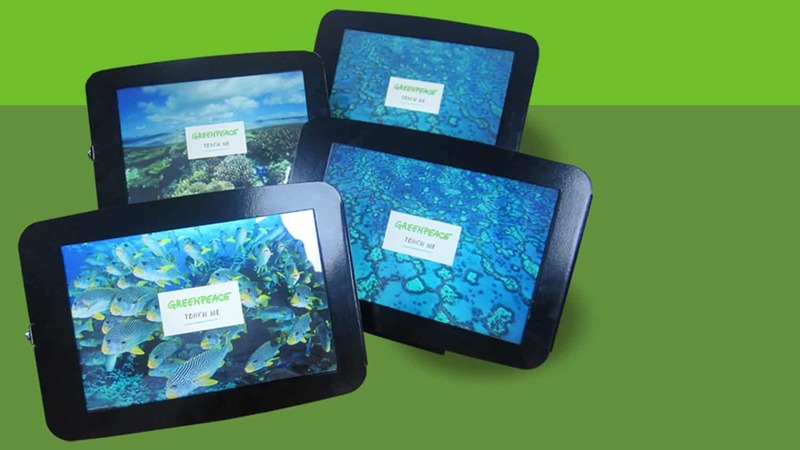 For Windows users, we supplied Windows tablets to Greenpeace last year, which were used at festivals to gather petition signatures to create a sustainable fishing program for The Great Barrier Reef. The tablets were highly effective, garnering thousands of signatures from the Glastonbury festival among others. Despite software taking up a big chunk of what to expect in a museum, non-software interactive can be just as effective. Even the simplest of mechanisms can play a pivotal role in a modern museum, and could prove to be a popular feature. 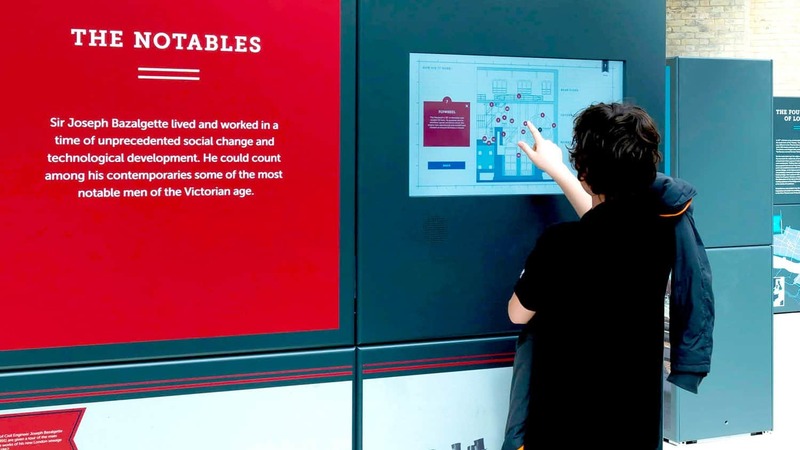 Our work with Viridor involved producing hands on interactives to explain the waste recovery process that Viridor undertook, such as an interactive grabber. 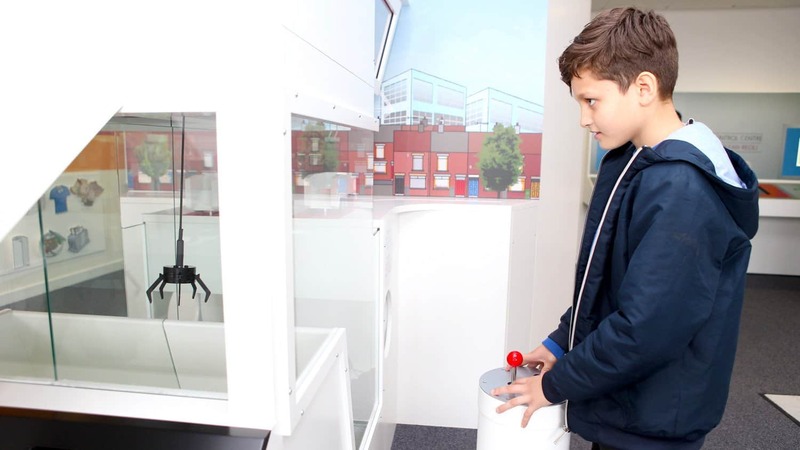 The grabber and our other interactive products are great for engaging younger visitors. We have a YouTube video demonstrating how our grabber works, which you can watch here! Museums will work on keeping their space fresh with new exhibitions and artefacts presented throughout the year, so no two museum visits will be the same. They may even have certain exhibits or artefacts for a limited time, which can make the prospect of a museum visit even more exciting. If there’s one that really grabs your attention, then even better! Keeping updated with your local museum will help you to know when new exhibits are being held. One of our most popular products, Lightbox 2, is the ideal tool for exhibits that are constantly changing. It allows any content to be updated on a regular basis, which is what The National Coal Mining Museum have done with the software for their site. We hope that our list has prepared you for your next museum visit. Any tips we’ve left out? Feel free to leave a comment or tweet us. If you’re interested in working with us and giving your museum a modern touch, feel free to head over to our Contact page. So you’ve had a fun filled day exploring your local museum and just before you begin the trip home, you decide to have a small look around gift shop. Lots of museums will have them, which will sell little mementos of your time there. From pencils to cuddly toys, there is something for every age and you’ll spend some money in there knowing that the proceeds will go towards the upkeep of the museum. 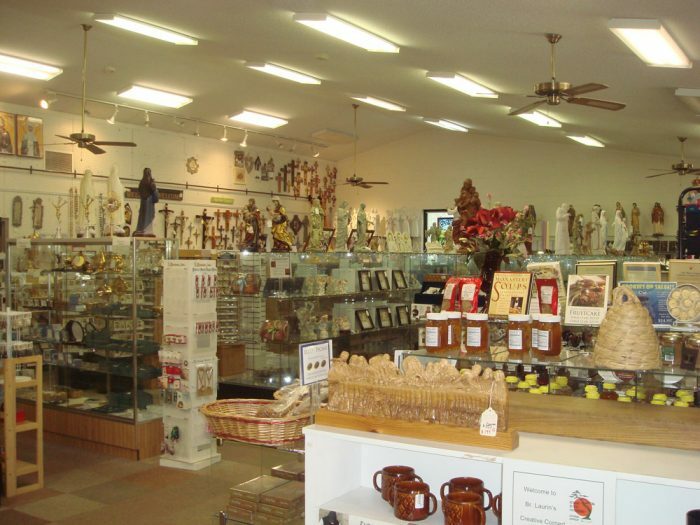 A piece of software that we offer that would be perfect for gift shops is our E-Card Creator. Visitors can create their own e-card, which allows them to have an electronic memento of their trip, at no extra cost to them.